The end of the tour has arrived! It’s been five and half weeks since the tour began, and the time seems to have flown by! It certainly won’t be a contender for the most glamorous tour ever, but it’s certainly been a lot of fun! We began five and a half weeks ago in UWTSD’s student accommodation, and since then we have been camping. The nights have often been wet, freezing and breezy, but we have managed to stay in high spirits throughout! The shows have gone brilliantly, and we have been more successful than we had ever hoped to be. We have had so many kind words from audiences and venues alike, and it has been worth fighting the cold nights to see families enjoying themselves. We are all really grateful to everyone who has come to see our show, to the venues for accommodating us, Hannah’s family for looking after us for a few nights, to Bryn Davies’ family for keeping us warm for an entire weekend, to all of the campsites that we stayed at and to all of our families for supporting us throughout the tour! It has been a pleasure working with such great, talented people, and fingers crossed that we will be able to get together next year and do it all again! But for now, we have one more venue and two more days of the tour left. We are finishing at my favourite castle of all, Conwy Castle. It is a castle that our family used to visit often when I was younger, and it will be nice to return there again for our final shows of the tour! But after that, who knows what will come next! 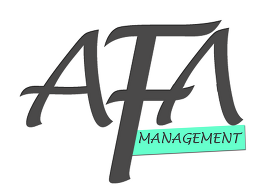 I’m really happy to say that I am now represented by AFA Management! I am really excited by this opportunity, and I am looking forward to working with the agency! They have worked with many major companies since the agency opened a few years ago, and I am eager to see where our partnership will take us!